How do you judge whether a stock is a good buy? Newbie investors usually come across two schools of thought: technical analysis and fundamental analysis. Technical analysis tries to forecast the future direction of prices through past market data trends in share prices and volume traded. A technical analyst does not care what business a company is in, or what a company is worth. Fundamental analysts do, however. They assume that stock prices do not necessarily reflect the true value of a company. They buy what they perceive to be undervalued stocks in the hope that one day, the market will recognise their true values and price them accordingly. To analyse a company, a fundamental analyst tries to understand a company's business model, competitive advantages, strength of management, market share in the industry, and the industry's own growth and prospects. 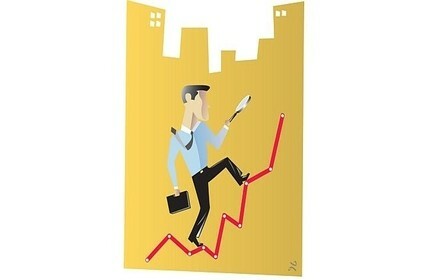 A company's financial statements and other economic indicators also need to be examined. Various models are used to determine what price the company should be trading at. This is known as a company's intrinsic value. If the company is operating in an attractive industry that has a potential for high profit margins, is financially healthy, has a competitive edge over its peers and is well regarded by customers and suppliers, shows consistent profit and dividend growth, and if the company's traded price on the market is significantly lower than its intrinsic value, a "buy" recommendation is typically made. Fundamental analysis is one of the most influential schools of thought on how to determine if a stock is a "buy" or a "sell". This article will examine some financial ratios used to analyse financial statements in the process of fundamental analysis. A company's financial statements contain a treasure trove of information from which financial ratios can be calculated. There are three main items in financial statements: the income statement, the balance sheet and the cash flow statement. In a previous article, I introduced the income statement. This is otherwise known as the profit and loss statement, and records whether the company is making a profit, and whether costs are rising faster than revenue. The balance sheet gives an idea of what assets and liabilities a company owns and owes at any given point in time. Assets can be cash, inventory held, factory equipment, or property. Liabilities consist of debt either owed to banks or to suppliers. The cash flow statement shows how cash comes in and goes out of a company over time, in three areas: operating activities, investing activities and financing activities. The Singapore Exchange (SGX)'s "An Investor's Guide to Reading Annual Reports", available on the SGX My Gateway information portal, includes a guide to reading financial statements for investors who have no time. 5. dividends are rising or falling, as a percentage of net profits. Investors who want to be able to understand a company more precisely will also want to calculate some ratios to evaluate the financial health of a company. Profitability ratios measure how profitable a company is relative to its peers, or relative to its own history. The numerator is the amount of profit. Gross profit margin is calculated by dividing gross profit by revenue. This ratio can be compared over time to see if material costs are increasing faster than the value of goods sold, indicating difficulties in managing rising costs. The higher this figure, the better. Return on assets (ROA) is calculated by dividing net profit by total assets. One can use an average of total assets in the latest year and in the previous year. This represents the percentage of profit generated by the assets in use by the company over the past year. However, a low ROA can be because a company has lots of cash, which piles up on the denominator side of the equation. In this case, a low ROA is not because a company is inefficient at using its assets. Return on equity (ROE) is calculated by dividing net profit by total equity. Average total equity can be used, calculated in the same way as average total assets. This represents the percentage of profit generated by the money that is due to shareholders, known as equity. The higher this figure, the better - with an important caveat. Equity is calculated by deducting liabilities from assets. The ROE ratio thus already includes debt. Companies that use a lot of debt will have relatively lower equity. The lower denominator will cause ROE to be much higher than ROA. ROE, if funded by lots of debt, can be deceptively high and gives an inaccurate picture of how a company's assets are being put to work. ROE should thus be used together with ROA to judge how effectively a company generates profits. ROE can be used to compare companies with similar capital structures, such as real estate investment trusts (Reits), which have to keep debt levels low due to regulation. A company might be profitable, but its profits might be generated on shaky ground. If banks stop lending it money on concerns that the company's profits are not enough to repay interest payments, the company may go bankrupt. If a market downturn hits and the company cannot sell enough assets to pay creditors and suppliers, the company will go bankrupt, too. Liquidity ratios measure how easily a company can meet its short-term commitments, known as current liabilities, using its available cash and assets. The higher this ratio, the more liquidity a company has and the easier it will be able to meet short-term credit challenges. The quick ratio, or acid test, is calculated by a company's cash, short-term marketable investments and receivables, divided by current liabilities. Another way to calculate this is to take current assets minus inventories and divide that by current liabilities. The higher this ratio, the more liquidity a company has. A quick ratio that is below one might not be healthy, indicating that the company might be forced to sell some inventory to meet current liabilities. By not including inventory, the quick ratio is considered a more conservative measure of the short-term liquidity situation of a company. Inventory is the raw materials and goods a company has that have not been sold. In an emergency, a company might not be able to sell off all its inventory for cash. Even if it can, the inventory will likely be sold at a discounted price. Solvency ratios measure the risk that a company might not be able to pay its debts. The debt-to-equity ratio is calculated by adding short-term and long-term debt together, and dividing that by shareholders' equity. The lower the ratio, the less risky the company. Another variation of the debt-to-equity ratio deducts a company's cash from total debt, before dividing it by equity. Similarly, the debt-to-assets ratio is calculated by dividing total debt by total assets. The lower the ratio, the lower the proportion of assets that are financed by debt, and hence the less risky the company. Finally, investors will want to scrutinise the company's cash flow statement to calculate a metric known as free cash flow. This represents the cash that is left over after investments in factories and fixed assets are made. Free cash flow is calculated by deducting purchases of property, plant and equipment (capital expenditure) from net cashflow from operating activities. Alternatively, you can take net profit, add back depreciation, deduct changes in working capital as well as capital expenditure. Free cash flow tracks the actual movement of cash of a company over a period of time. It is harder to fudge compared to revenue and net profit. Revenue, for example, can be manipulated by booking revenue through lax sales policies, before payments actually come in. Expenses can be counted as investments and spread out over several years, making profit seem higher than it actually is. Increasing free cash flow every year is a sign of a healthy business. If free cash flow is constantly negative for many years and the company is borrowing even more money to invest without giving a firm date as to when a positive cashflow situation will arise, warning bells should go off. The above ratios and calculations are just the tip of the iceberg. Ratios will vary widely between industries. There are no hard and fast rules about which ratios are ideal to use. However, a basic understanding can give investors a better sense of a company's value. Compare with care.